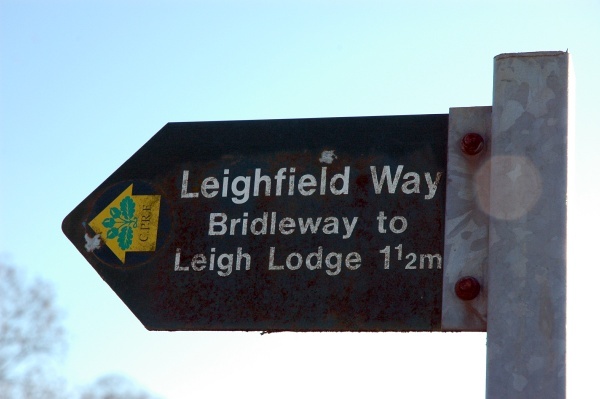 In early documents and headstones, the Lodge is referred to as "Lamley", but in later documents a "b" has appeared - Lambley. 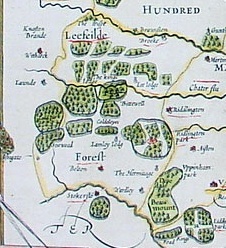 Apparently the area of Leithfield Forest was, and still is, well known for "The Hunt" and for rambling over the farms. In the early-1800s the number of visitors to the Lodge increased and some mistakenly pronounced the name as "Lame-ley", ie "lame" as in disabled. 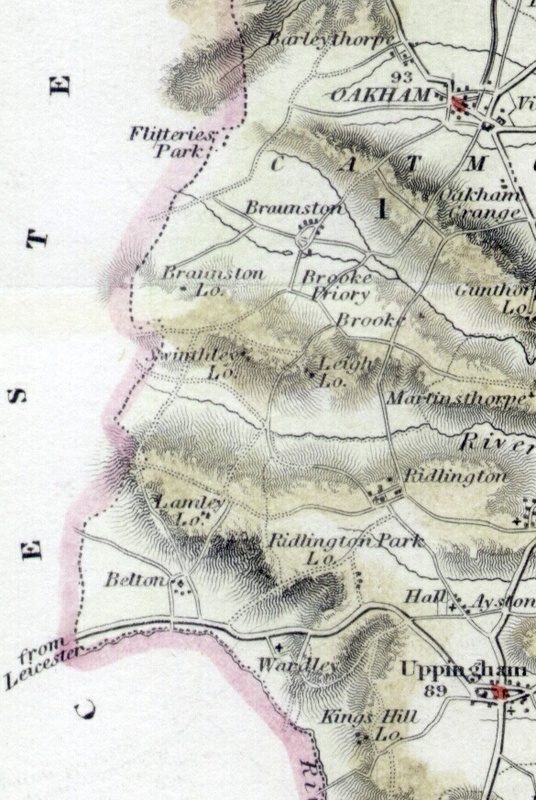 Mary (Arnold) is reported to have taken exception to this, and insisted that the "b" be added to the spelling so that the visitors would pronounce it correctly - "lamb-ley" as in "lamb". 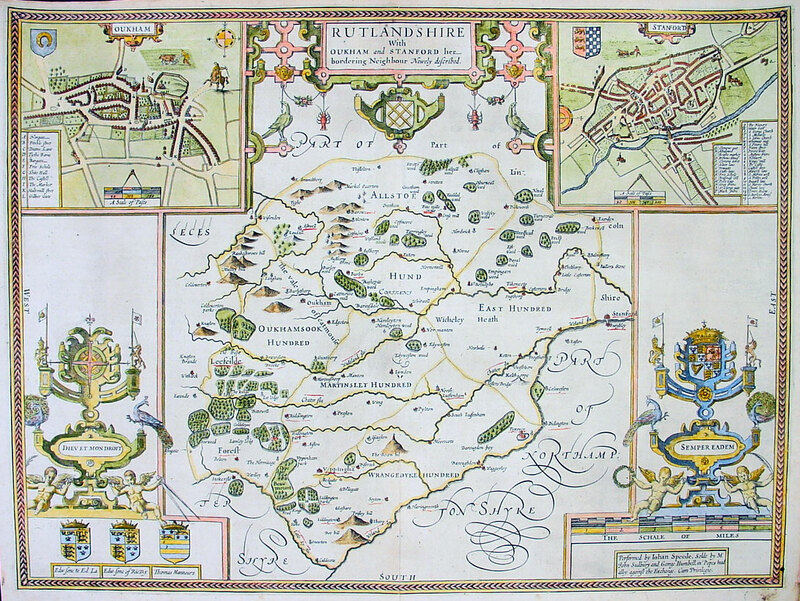 The Lodge is marked on Speed’s Map of Rutland published in 1611, lying just above the Forest word. 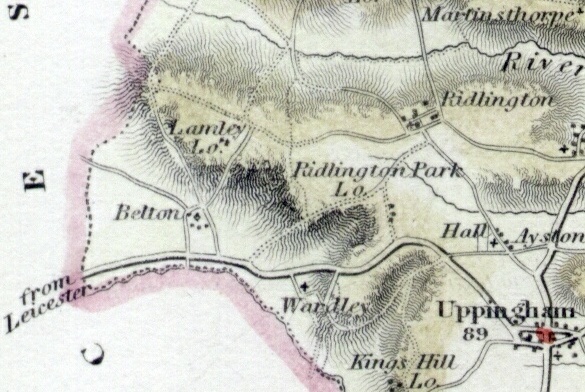 It features in all later maps such as this one from the late 1800s. It is mentioned in the 1664 Hearth Tax returns being inhabited by Mr. Bringhurst who had two hearths. By the next year, 1665, Mr.Thomas Marston was in residence, still with two hearths. In August 1718 a baby from Lambley Lodge was baptised at Belton, his parents being Thomas Ward and his wife Elizabeth. The Belton parish registers also record that on 3rd October 1728 William Scott of Lamley Lodge married Anna Wallend of Great Dalby. Next, we have a Memoir written by Mary Goodliffe (nee ARNOLD) who began the letter “ My dear husband was born at Lamley Lodge, Belton, Nov.13th 1756.” That is the earliest mention of the Goodliffe family at Lambley Lodge. Thomas had married Mary in 1754. In 1935, Mr.Hornsby (the tenant at the time) uncovered an upright stone support of one of the outhouses, on which the date 1760 was cut and the initials W.S. and T.G. 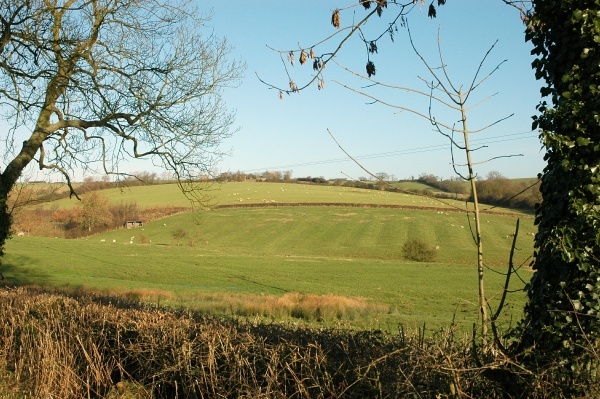 These may have been cut at the time that Thomas took over the tenancy from William Scott. Thomas Goodliffe (1722-1810) appears to have lived at the Lodge from about 1756 although he may not have taken over the tenancy until 1760. The old Lodge was in three sections. The oldest part was evidently the eastern end which was thatched. We are told that Thomas built onto this in order to accommodate his growing family. His addition would be the middle section with the two dormer windows. A smaller third section appeared around the year 1800 when Thomas junior and his wife Mary (nee Arnold) needed extra room to house his large family, which was to grow to twelve children by 1809.The accommodation must have been very cramped then as Thomas senior lived until 1810 and his unmarried daughter Elizabeth and son William were also there! The will of Thomas junior directed that his wife Mary should live at the Lodge if she wished to. In fact she went to live with her youngest daughter Sarah at Barrowden. 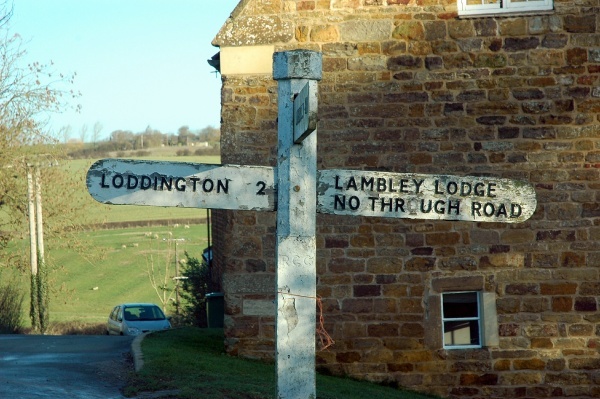 The will then specified that the west part of Lambley Lodge should go to the eldest surviving son John, and the east part to the third son William. 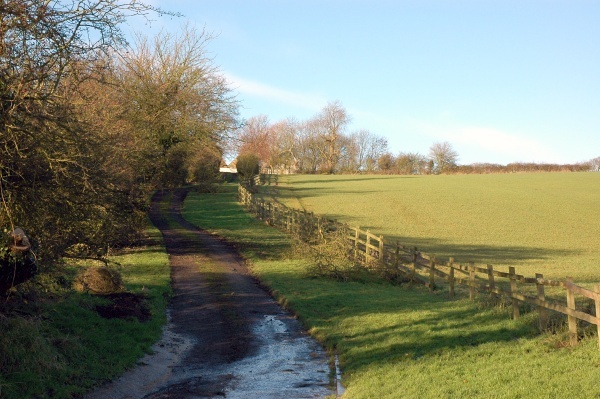 Daniel was to have three smaller properties in Belton and some closes and an orchard are mentioned. 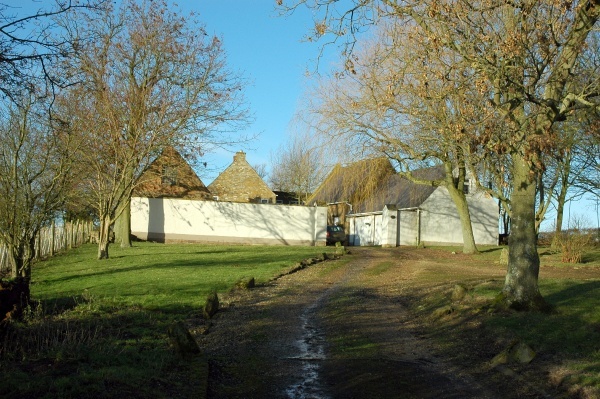 William does not seem to have lived at Lambley Lodge as he was apprenticed to Mr. Hart, a grocer in Uppingham and eventually went into the same trade in Nottingham. 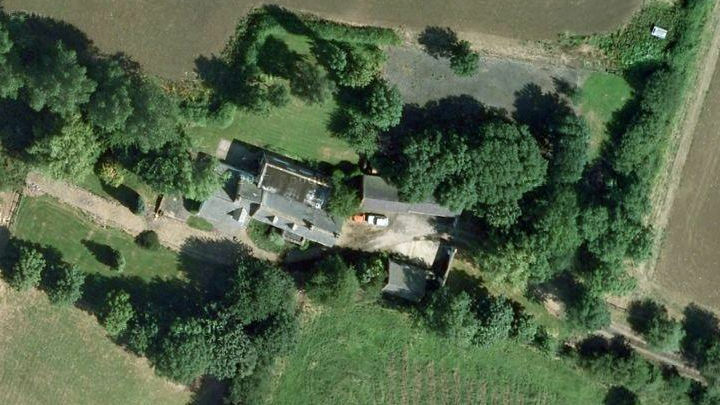 The rest of the family were not keen on John Goodliffe (see brother Arnold's memoir) and were probably content to leave him to farm Lambley Lodge with the help of his six sons. 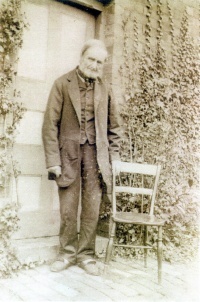 John (1798-1864), passed the Lodge on to his son Simpson Stokes Goodliffe (1842-1922). Simpson and his wife Sarah had four daughters and a son, but none of these took up the farm so it was sold following Simpson's death and passed out of the family. The farm was leased out for many years and the buildings fell into disrepair, until again being sold in the mid-1970s. The new owners demolished most of the buildings but restored one, so the buildings seen today are mostly post-Goodliffe era. 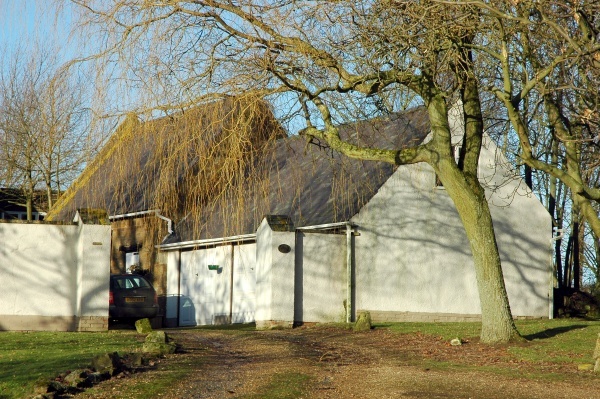 The current owners are also not particularly interested in the Goodliffe heritage of the farm and apparently are not very welcoming of visitors.